If you need a table saw that stows and goes, one of these five portable saws could be a great fit. These 10-in. portable table saws, often referred to as jobsite table saws or benchtop table saws, don’t hog floor space, go practically anywhere and can cut everything from sheetstock to dadoes. One of these portable table saw models may be for you. But only one of them is our “Best Bet” winner. About three paces from where I tested these portable table saws sits my late-model cabinet saw. 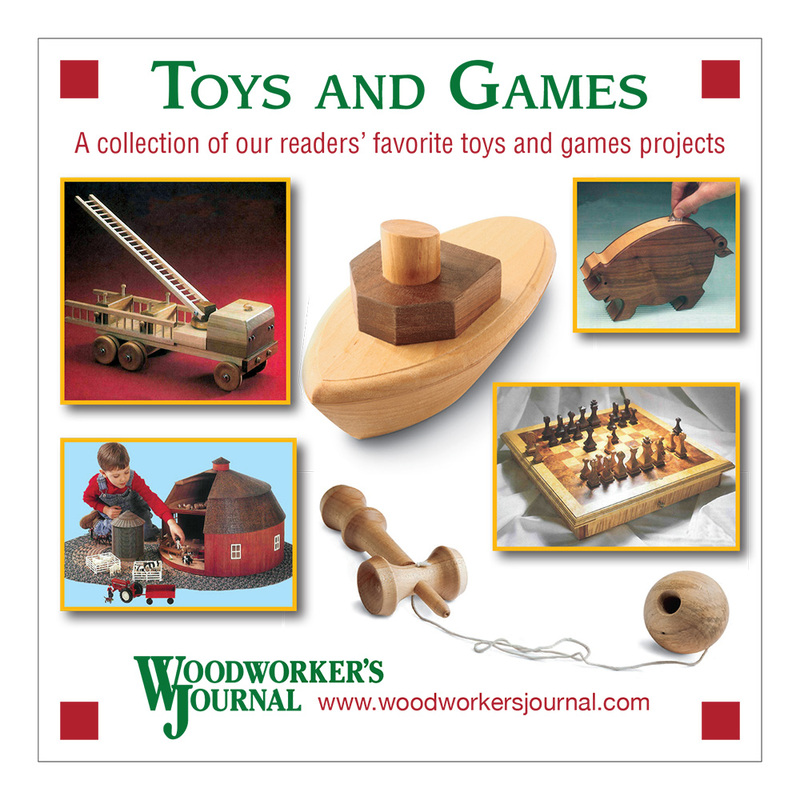 As a serious woodworker and magazine editor, I can’t imagine not having it. Its powerful 3hp motor, spacious cast-iron tabletop and almost hair-splitting precision makes most other saw options pale by comparison. But all this said, a cabinet saw isn’t everything. The thought of moving that behemoth down the steps to a basement shop sends chills up my spine. I sure can’t toss it into a car trunk to help a friend down the road. My saw takes up a huge footprint of shop floor, and it cost a small fortune. I don’t know of any stationary table saw that sells for less than $700 new these days, and that can empty the coffer of a modest tool budget. There’s actually quite a lot to like here. 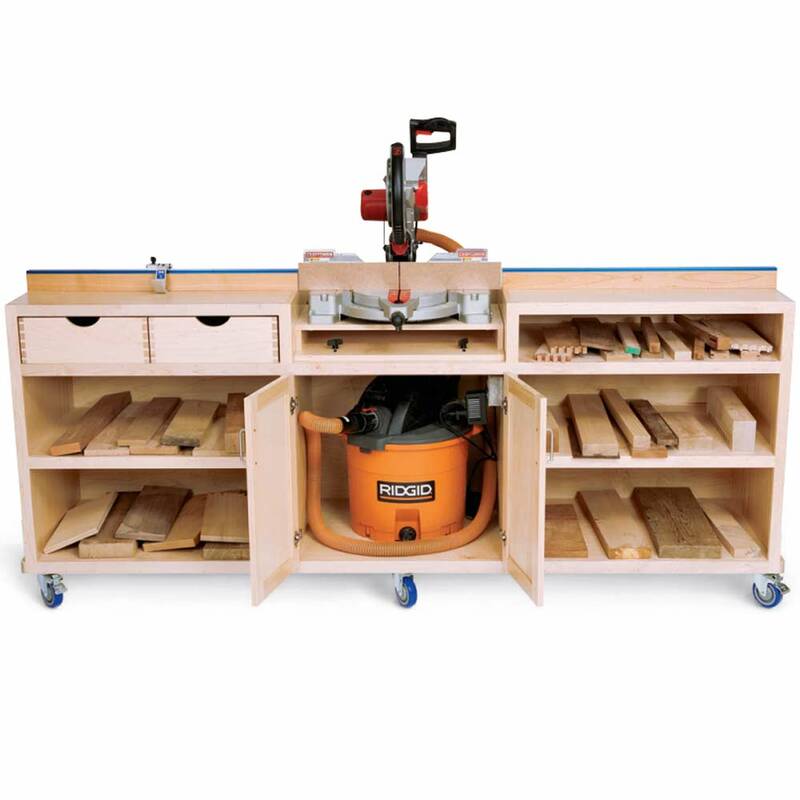 And that’s why we’ve rounded up these five premium portables to pick a “Best Bet” for woodworking. 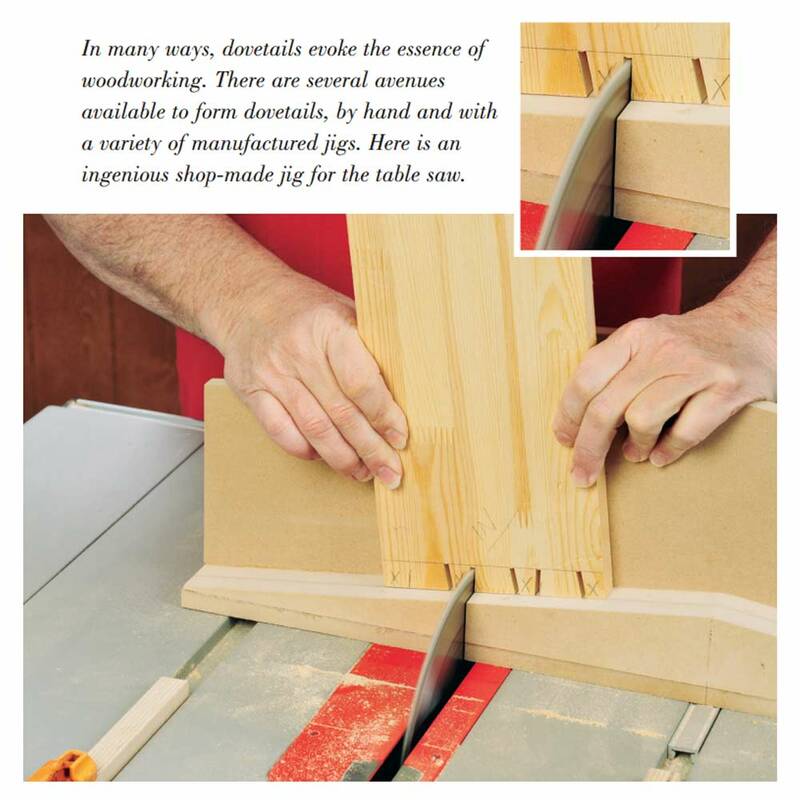 No matter the model or price, a table saw should cut a range of material thicknesses and hold its settings accurately. So, after installing a new Freud hi-ATB thin-kerf blade in each saw, I made repeated rip cuts on MDF, resetting the fence each time to check for consistently thick offcuts. After that, I raised the blade for more rip cuts on heavy, long planks of 2 x 12 Southern yellow pine, before tipping the blade to bevel-rip 2″-thick poplar. Then I switched to a 6″ CMT dado set and made a long dado cut in MDF, so I could check for consistent cutting depth — a sign that the undercarriage is stout enough to handle a heavy blade like this. Overall, my test criteria was stability of the stand, cutting accuracy, reasonable dust collection efficiency and all-around convenience of use. Results ranged from exceptional to mediocre, as you’ll see. While DeWALT’s DW744X is the only model here without wheels, the saw is otherwise well appointed. It’s got a unique rip fence design: instead of sliding along front and back rails, the fence is fixed to them. To change rip fence settings, you extend the rails out on rack-and-pinion gears. The design keeps the fence parallel to the blade/miter slots and prevents it from deflecting if pushed laterally. A red hairline cursor makes fence settings easy to read, and it passed my ripping tests with flying colors. Portable table saws enable you to carry out sawing tasks wherever they’re most convenient: on the deck, in the basement or out in the yard. You’re not limited to the shop floor here. The guard is a clear plastic split configuration that offers good visibility of the cutting area. It pops off quickly with a flip lever. But you won’t feel that old urge to ditch it, because it functions well without getting in the way. DeWALT’s soft-start motor was powerful, and feedback circuitry keeps it cutting with consistent torque under load. Like Bosch, this saw also has a good vac-assisted dust shroud to help keep your cutting area tidy, plus a cleanout access door. Changing rip fence settings on the DW744X involves unlocking the fence rails and rolling them in or out on rack-and-pinion gears — the fence moves with the rails. 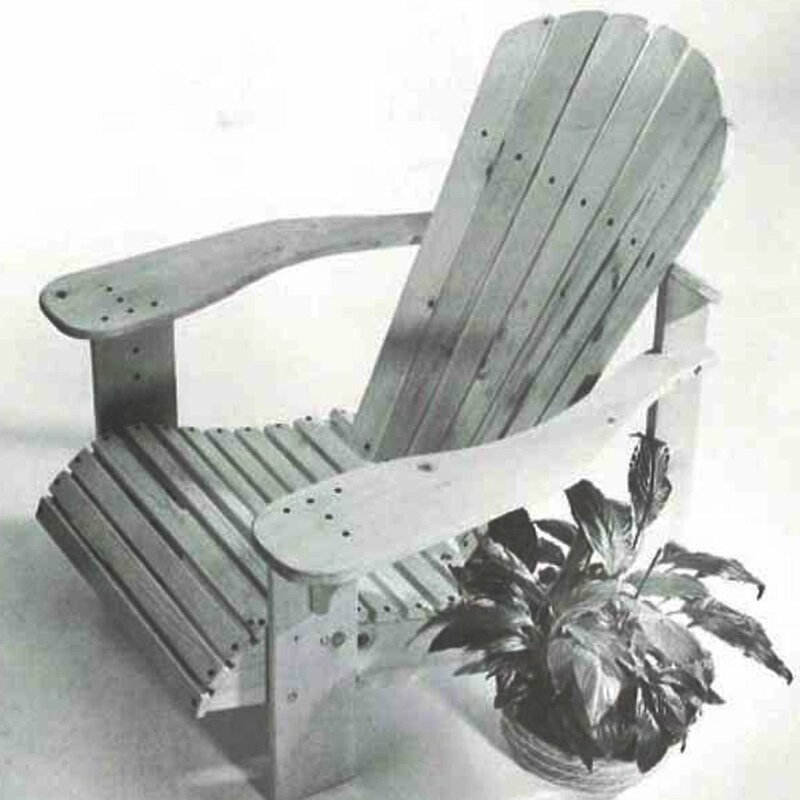 The design proved accurate and sturdy in testing. Strangely, DeWALT provides no power cord wrap. It’s a basic detail the other saws have and this one really needs. The steel “TV tray” type stand sets up fast, and rubber feet hold it firmly in place. When you are done sawing, you’ll have to lift this wheel-less saw to transport it, and there are contoured grips molded into the table edges to make that easier. At more than 50 lbs., though, the saw feels heavy. But the tradeoff for the convenience of wheels is that DeWALT can keep this setup even more compact — probably much appreciated by contractors. The whole works fits in a car trunk. 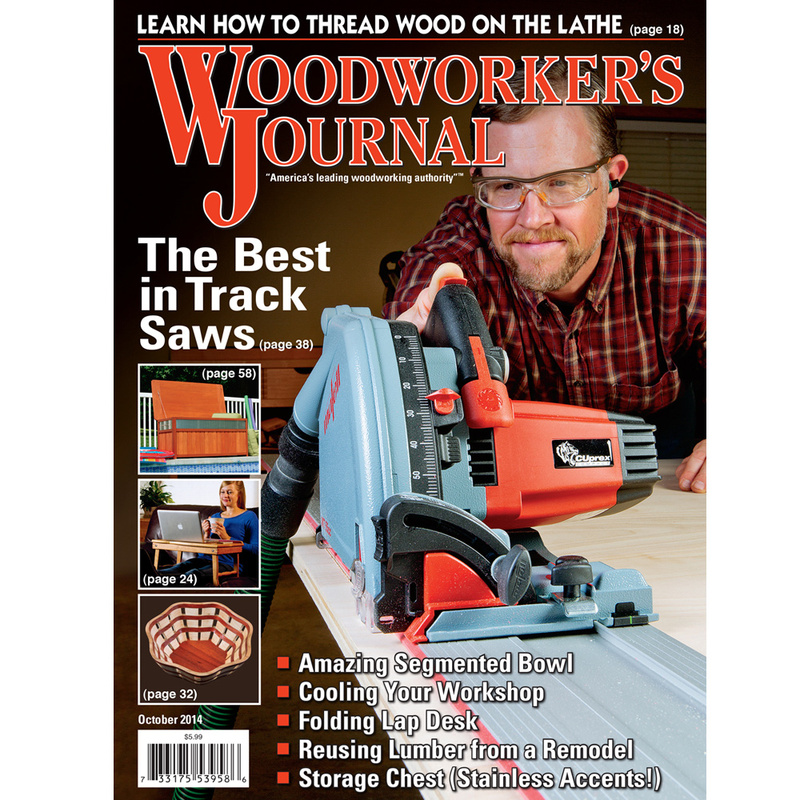 Rockwell is the “freshman” brand among the other longer-standing benchtop power tool companies represented here, and its table saw revealed some “first rodeo” shortcomings. While the motor was amply powerful for my cutting tests, the blade arbor assembly was 1/16″ out of parallel with the miter slots. It’s a condition called “heeling” without easy adjustment in the manual. So, for my testing purposes I had to set the rip fence askew in order to align it parallel to the blade. The problem would need to be addressed on this sample saw for long-term use. The machine has a more conventional rip fence/rail arrangement. The right half of the rail assembly folds out so the saw can achieve its full 30″ of rip capacity — wider than any other model here — but the fence would not slide smoothly over the rails without catching on the hinge joint. While the rip fence did maintain its locked settings, it lacks the heft and build quality of the competition. Rockwell’s RK7241S has extra-long rails that provide 30″ of ripping capacity — helpful for splitting full-size sheet goods. At their extreme end, the fold-out rails sloped down to 1/4″ below the table, and the tabletop casting deflected from flat by almost 1/8″. No saw table was dead-flat, but Rockwell fared the worst here. Rockwell provides both a splitter and a riving knife to help prevent kickbacks, but the smoky-colored plastic guard isn’t as easy to see through as other clear guards. While the blade tilt scale on this machine is easy to read, the tilt lock lever is small and could be hard to lock or loosen for people with limited hand strength. Still, I do like that Rockwell provides the only full-size handle on its miter gauge; the rest are all stubby and harder to hold. The RK7241S has two sturdy tubular legsets that fold down and lock, and one becomes a convenient handle for transport. The stand stayed put during heavy ripping operations, and lawnmowerstyle wheels make the tool easy to roll. But, once set up, you have to drag or lift the saw to move it, unlike other portables that keep the wheels on the floor during use. 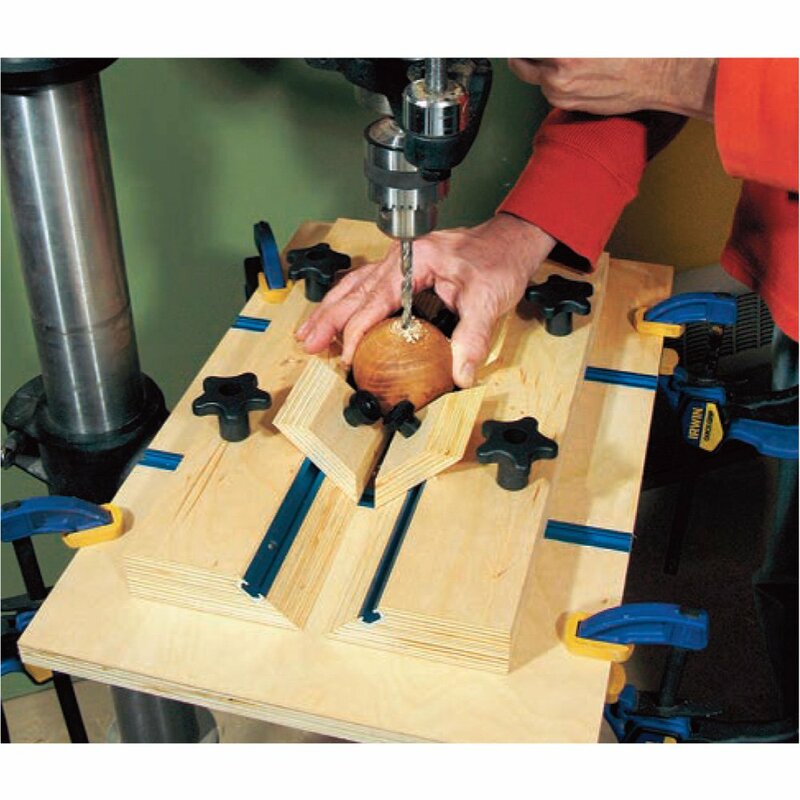 A sliding table accessory extends the saw’s mitering and crosscutting capabilities. Dust collection is passive on this tool: it simply falls down through a circular grate and into a cinched fabric bag. Without the benefit of a shop vac hook-up, Rockwell left me in a cloud of fine dust. This might be OK on a jobsite, but not in an enclosed workshop. Other features include a battery-powered laser for lining up cuts. I found it to be pretty dim under bright shop lights and not lined up correctly with the blade. It is non-adjustable. A pullout rear extension provides some added support for long rip cuts. 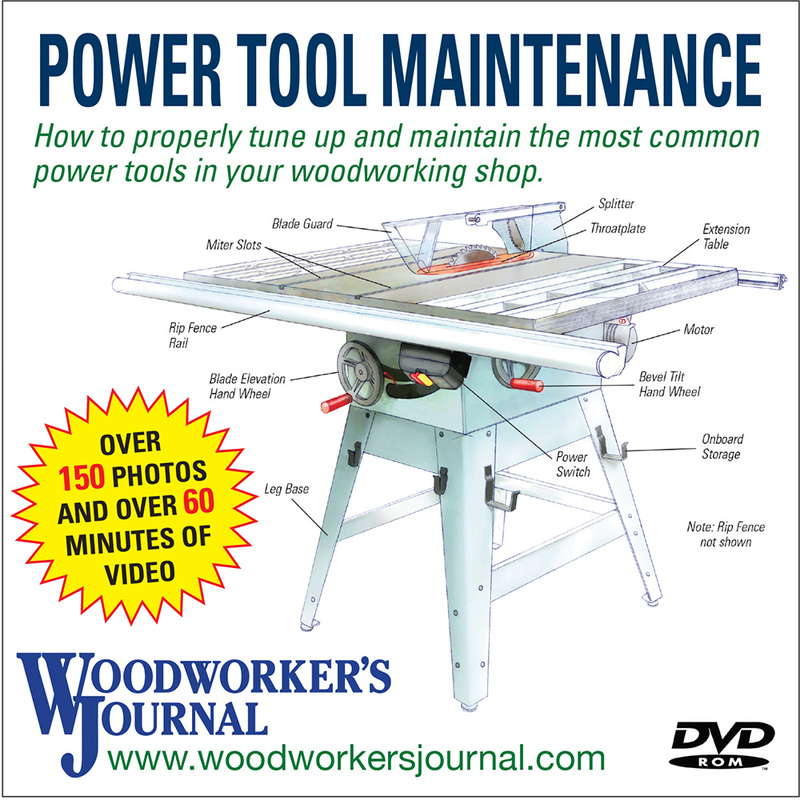 Rockwell also offers a couple of unique accessories: a sliding miter table ($179.99) and a power planer-style “Finisher” ($129.99). It mounts on the saw for flattening board edges. I’m no stranger to Bosch’s 4100-09 saw with Gravity-Rise™ stand. 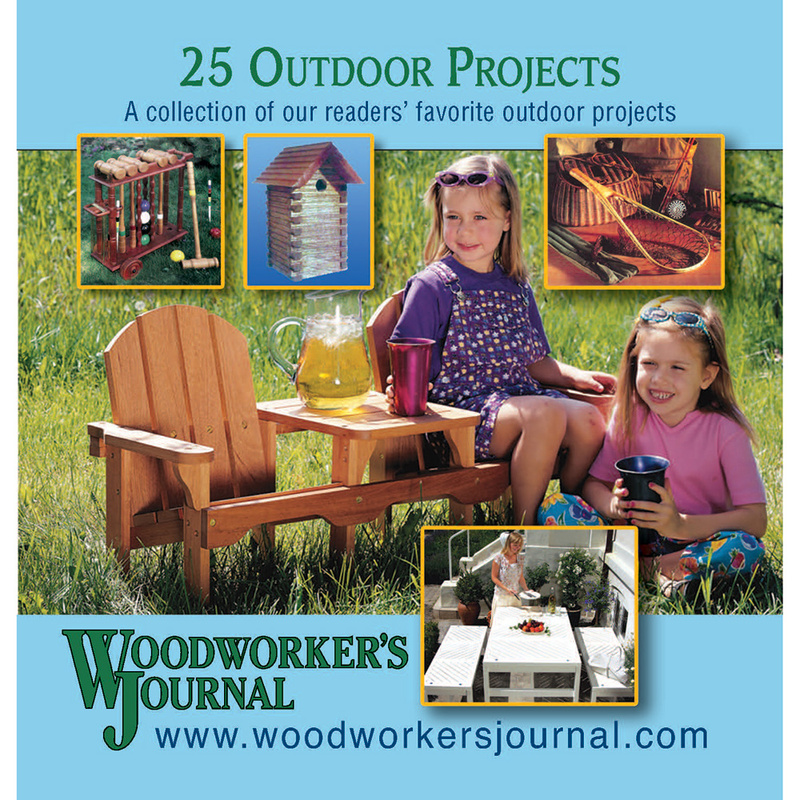 I’ve used one several times to build projects for this magazine, including the Serving Tray Cart that appeared in the June issue. So, I was not surprised when it tested impressively here. Rip cuts were on the mark, thanks to a rugged, beefy fence that stayed parallel to the blade each time I reset it. A flip of a red lever underneath unlocks the rails so they slide out and extend ripping capacity up to 25″. It’s easy to raise or lower the saw’s riving knife for making either through or non-through (dadoes, rabbets, etc.) cuts, and blade changes are simple with one wrench and an arbor lock lever — the only saw here that doesn’t make this a two-wrench job. I’m not crazy about one feature, and it’s common to three of these five saws: to tip the blade, you unlock a lever behind the blade height hand wheel, then swing the undercarriage up to the angle you need before re-locking the lever. A geared bevel control would make this process a little easier. But, once tipped, Bosch held its angle setting well through my test cuts. After a couple of hours of cutting, very little sawdust was left on the floor — it routed neatly through a shroud that surrounds the blade and on into my shop vac. It has a clean-out door for when offcuts get stuck or when you drop the arbor nut down inside … and who doesn’t do that now and then? Bosch engineers deserve kudos for the Gravity-Rise stand, and it’s a design some other manufacturers should emulate. 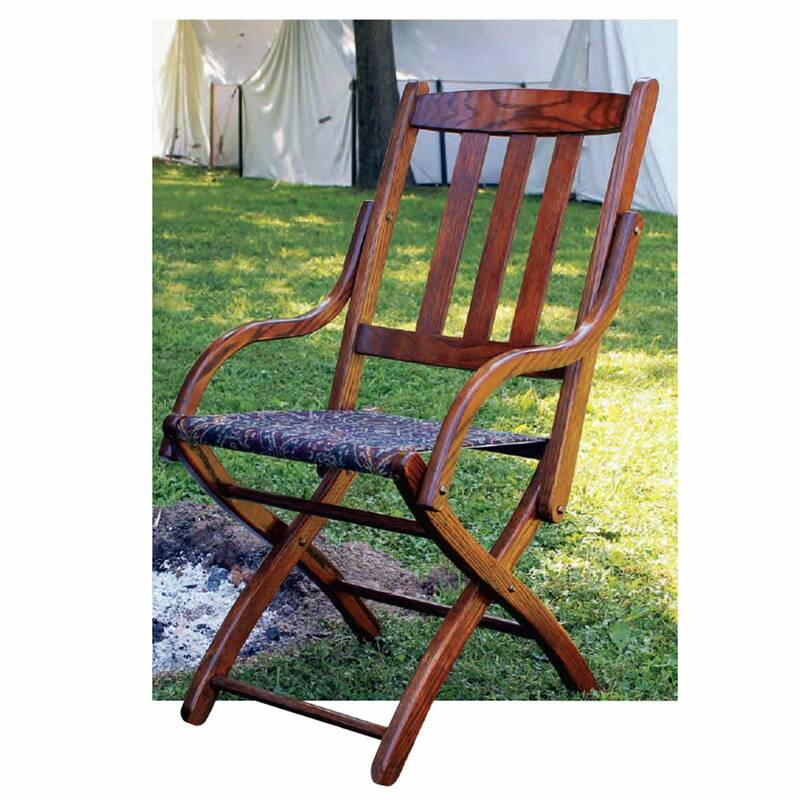 Twist one lever, and the sturdy, steel frame folds up or down fluidly to convert from sawing to transport or storage. Eight-inch wheels and lugged rubber tires make this base easy to steer overland or pull up steps. 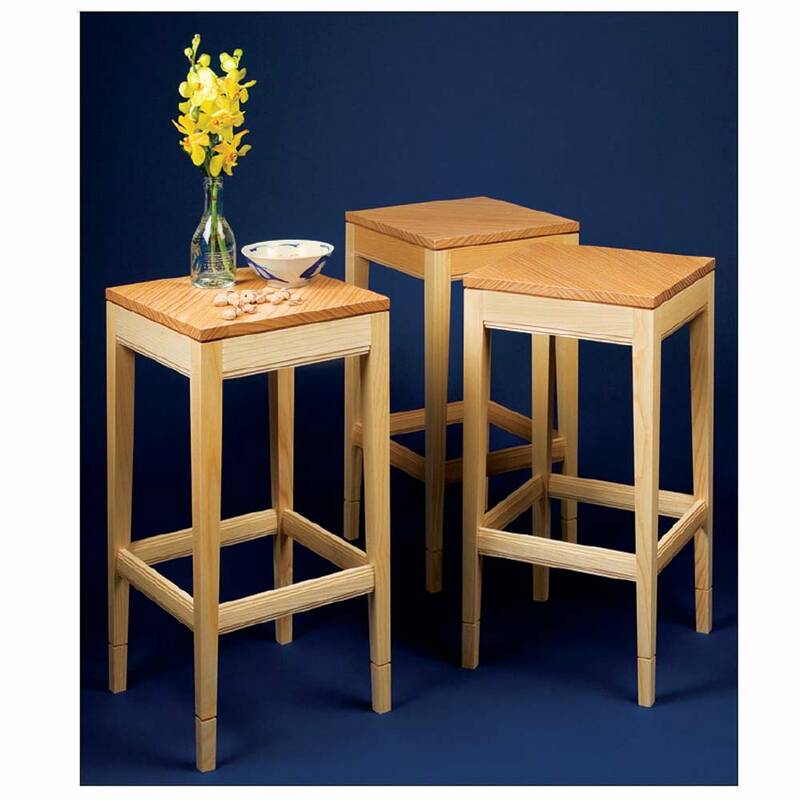 Plus, the base’s stance is wide, giving it sure footing if you are pushing long planks or heavy sheet goods through. It will not tip. But, the stand when erected sets the saw’s tabletop quite high, at 38-1⁄2″. Shorter users may find this to be a bit too tall for comfort. These jobsite-ready table saws should have sturdy mobile bases, and Bosch’s Gravity-Rise design is an exceptional example. It is stable, sets up easily and is built to handle rugged terrain. All in all, Bosch packages convenience, capability and woodworking “chops” into this machine. While it sets the high bar for pricing, I think $599 is still fair for this tool. In terms of cutting results, Craftsman’s 28463 Jobsite Table Saw made a decent showing. It delivered accurate rip cuts, kept its bevel setting for angled ripping and could handle a stacked dado blade without laboring. Dust collection through an enclosed shroud was on par with more expensive machines. I also appreciated the saw’s clear, split guard and a riving knife system that is easy to install and adjust up or down. These are the plusses of what, in this test, is the budget-priced tool. However, there were some limitations. The rip fence build, with a thin-metal body, is light-duty. At just 23⁄4″ wide, the saw’s narrow throatplate makes it harder to reach down inside for swapping blades or retrieving a fumbled arbor nut. While the white-on-black bevel scale display is easy to read, the thin red hairline pointer that marks tilt angles disappears over the top of it; the saw needs a larger, brighter indicator. There’s a geared mechanism for tilting the blade that engages when you push the blade height wheel in — a good thing — but the bevel lock lever is too short, and I would use care when bearing down on the plastic handle to tighten it. 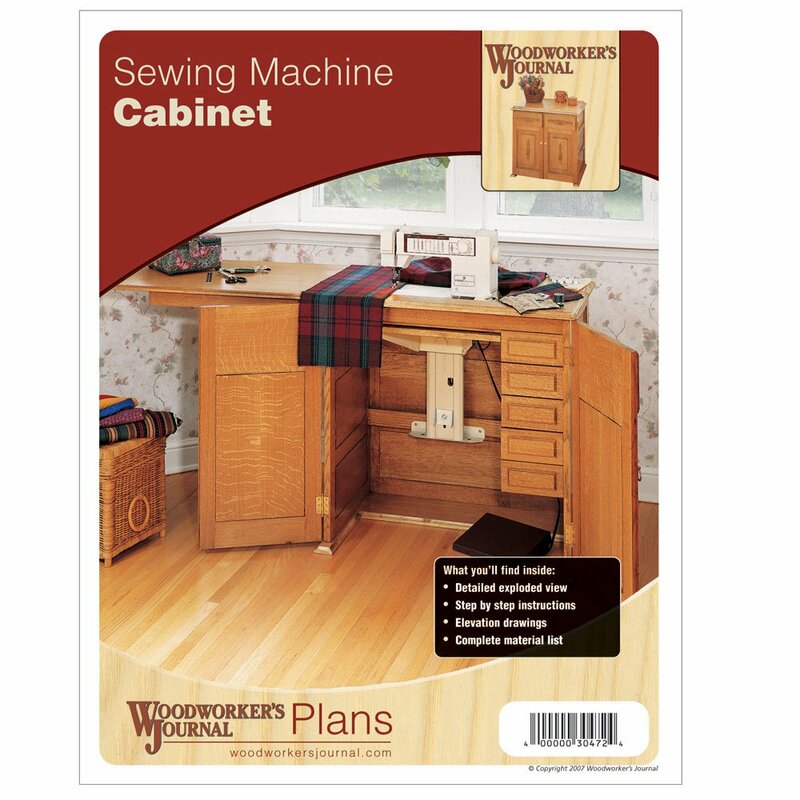 Craftsman’s 28463 takes up just 18″ x 24″ of floor space when folded up — a plus for small shops with limited storage space. Setting up or taking down Craftsman’s spring-assisted stand is a six-step process, involving various release latches. It’s not intuitive like that of Bosch or RIDGID. And, once the stand is folded down, don’t lift the handles up too far when rolling the saw around, or the stand drags against the floor. A shorter woodworker might find this less of a problem than this 6′ 3″ tester did. I also found that the stand’s narrow stance and light weight couldn’t prevent it from skittering on the floor as I pushed heavy lumber across the top. A word to the wise: weigh the base down for heavy-duty work or for cutting large sheet goods. Four of these five test saws, including Craftsman, have 2-1⁄2″-diameter dust ports that enable shop vac-assisted dust collection. At day’s end, I think this little machine is what it is: a portable, light-duty table saw for occasional work. If you need a saw that’s made for tough, daily use, this model might not be the best choice. But, it is quite affordable. RIDGID’s 94-lb. R4510 might not be a saw you want to lift into a truck bed every day, but it’s bound to deliver solid cutting results once you reach your destination. For starters, this saw includes a downright great stand. Step on one lever, and the tubular frame lifts and glides smoothly up into place. The same lever collapses it. It’s sturdy, well-balanced and provides a wide stance to keep the saw from shifting or tipping. Large wheels and rubber tires roll the machine around easily during transport or just to reposition it when set up. The left-most tube is both a working-height handle and side support for balancing extra-long crosscuts. Smart. RIDGID provides a robust rip fence with T-slots for featherboards, plus a microadjuster for nudging it to a final setting. It extends out to 25″ on sliding extruded rails that unlock with a lever. The saw has a unique steel “tape measure” ripping scale that rolls out with the rails. It works well in this application. I like the saw’s blade height wheel: it has a separate outer geared rim that tips the blade. A large knob and lever lock both the height and bevel settings with little effort — a solid design. Scales are bright and easy to read, and a full-size miter gauge with a steel bar tops off the goodies. RIDGID provides geared control on the blade height handwheel for setting and locking bevel angles. RIDGID tested on par with Bosch and DeWALT in my cutting trials. Ripped offcuts were consistently thick. Bevel cuts were smooth, and the blade angle did not change when I powered through the thick poplar test lumber. The saw drove a heavy dado blade without issue. It has an effective dust shroud, too, that kept sawdust at bay. To set up or store RIDGID’s rolling base, step on a foot release and pivot the handles up or down. The action is well-balanced and easy. When I switched blades, I did find the locking lever for the riving knife very stiff … not sure why. It raises to release the riving knife and pushes down to lock it. I resorted to gripping the lever with a pliers to manipulate it, after nicking some skin on the blade teeth. But, on the softer side, RIDGID provides a nice complement of overmolds on the miter gauge handle and blade height handwheel knob. Sometimes picking a “Best Bet” is a real tossup, but not this time. While Bosch’s 4100-09 doesn’t disappoint, and DeWALT has what seems to be a bulletproof portable, I think RIDGID’s R4510 table saw really shines. Its sturdy workaday features, powerful motor and well-designed stand show that portability doesn’t have to mean compromise. 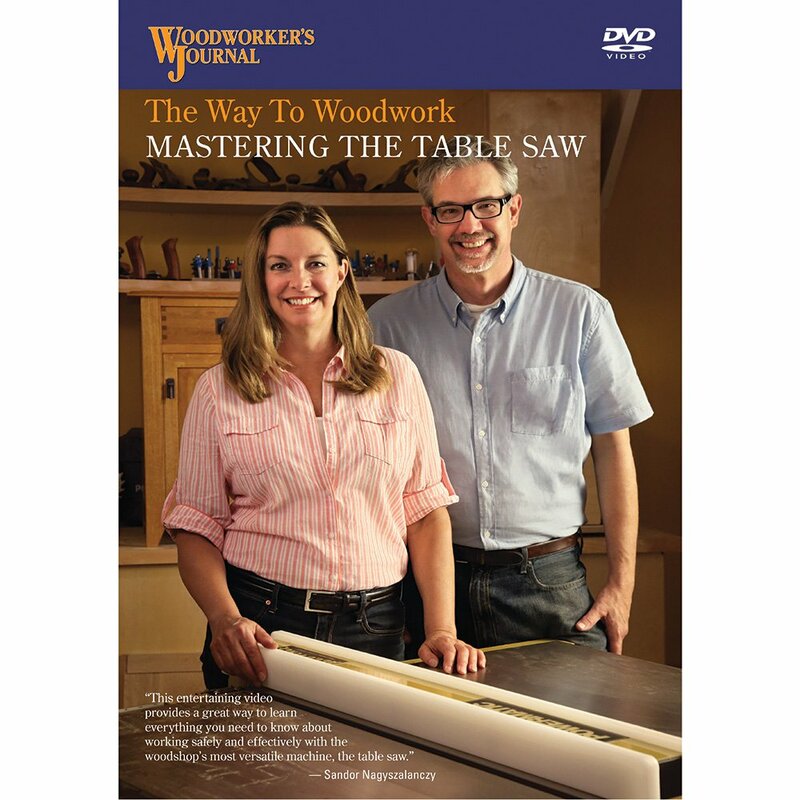 This is an excellent woodworking choice for 10″ portable table saws.